It is rare for a national newspaper to begin a story on its Sunday front page that continues to run for five pages of with lots of pictures and is dedicated to the subject of grief. But that is just what The Washington Post did yesterday and Eli Saslow, who wrote and reported the devastating story, and Linda Davidson, who photographed the compelling pictures for the story, deserve a standing ovation for bringing much needed attention to what life is now like for the Barden family of Newtown, Connecticut, a family in the throes of raw, searingly painful grief as they try to figure out what to do next now that 7-year-old Daniel Barden, the youngest child in the Barden family, was shot and killed at his school. 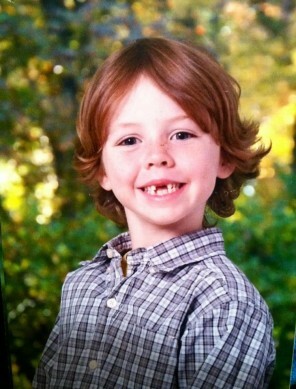 Mark and Jackie Barden’s 7-year-old son, Daniel, attended Sandy Hook School Elementary School in Newtown, Connecticut. On December 14, 2012, Adam Lanza, 20, fatally shot 20 children, including Daniel Barden, and 6 adults in a mass murder at Sandy Hook Elementary. Yesterday morning when I went out to the front yard to pick up The Washington Post, I pulled the paper out of it’s plastic sleeve and flipped it over to see what was happening on the paper’s front page. I immediately saw the story’s headline, “Into The Lonely Quiet,” and started reading it as I went up the steps and back into the house. I was riveted. I continued to read the story about the Barden family as I found a chair and didn’t stop reading it until I reached the last word at the end of the story that is so sad on so many levels.